One of the biggest questions when starting a business relates to how to operate a business. Business owners usually know their product, service or technology. However, they may not be familiar with the legal, accounting and other required elements of starting and running the business. When establishing a business, you will need to make critical decisions on how you choose to do business. Execute upon all the other functional aspects of the business. Because your operations can either hinder your success (cost time and money) or can be a competitive advantage for your business (enabling you to align use of resources to priorities, monitor results, and adjust activities), you have to invest time and money into creating your business systems and processes. You need to identify how you want your business to operate and then get the right people/skills in the right positions, and ensure that how you do business makes people want to do business with you is important. Businesses lose many customers due to poor accounting, customer services, and after-the-sale activities. They also lose future sales when prospects encounter systemic roadblocks caused by the mechanics of your business. Do your operations conflict, or complement, your sales, and marketing efforts? Do your operations create or mitigate risks? Do you view your operations as an asset or a burden that you have because you “have to”? Do you have operational goals, and are they tied to business goals and outcomes? Do your operational activities support responsiveness to opportunities or do your sales and other efforts get bogged down waiting for information? Do your operational activities maintain adequate controls and still allow adaptability to customer needs and market opportunities? The most successful businesses have operations that are just as appealing as their products. Inefficient systems and processes don’t constrain them. Because they recognize that investing in their accounting, financial, human resources, and other “back office” activities helps them serve the customer more effectively, it also saves them time and money in the long term. Your C.O.R.E. 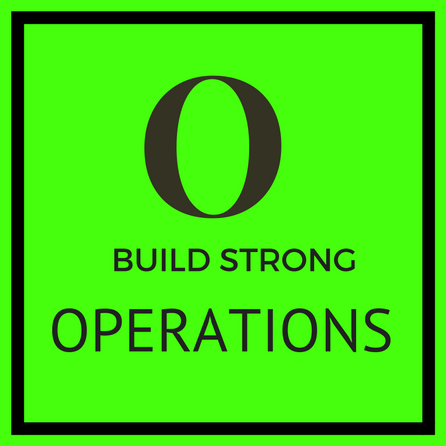 Operations can be a competitive advantage for your business. If your business operations are something you think of as an expense and a necessity only for generating your tax returns, etc. then it is time to re-examine them. If you don’t have an up-to-date accounting system, job descriptions, performance measurements, and compensation tied to results, then it is time to assess the mechanics of your business. Accounting systems should be able to do more than provide information for filing your taxes. Your accounting system should enable you to know what is and isn’t working in your business. You should be able to identify your most profitable clients, a line of business, and products/services. You should know how many prospects you need to reach to achieve your sales goals. You should have goals, budgets, and other information that helps you run the business. Build your C.O.R.E. Operations to serve the customer, monitor results, and decide how to execute to achieve your goals. Is your Business Performance FINE? How to Grow Your Business, One Relationship at a Time – Network!